When you’ve tried every pencil, powder, pigment, gel, and stencil and your brows are still not perfect, there’s Microblading. 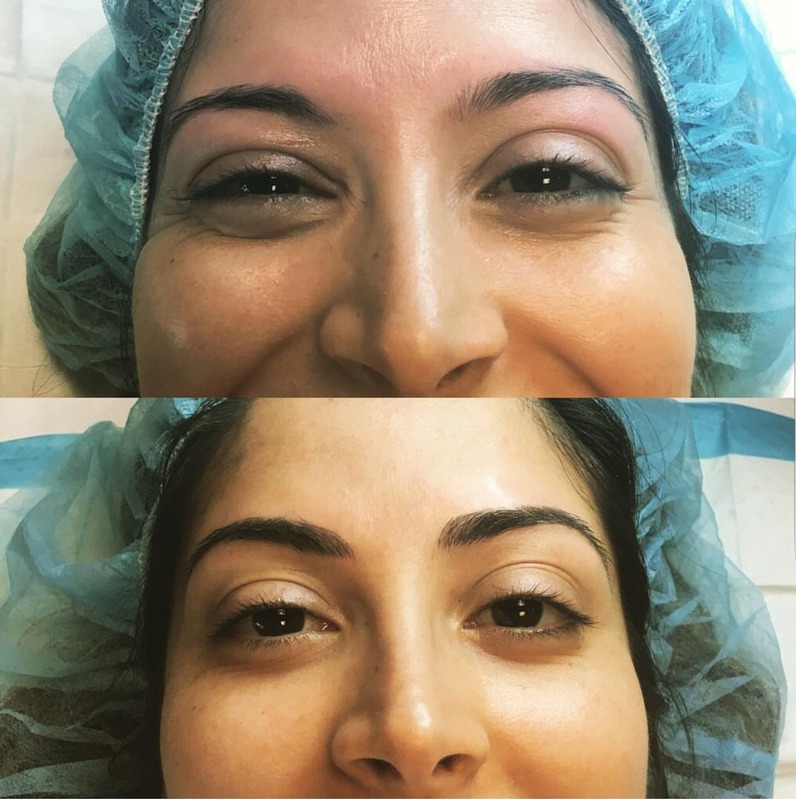 Microblading is a semi-permanent makeup technique where the technician creates and builds your brows strand by strand with life-like brow strokes directly onto your skin. 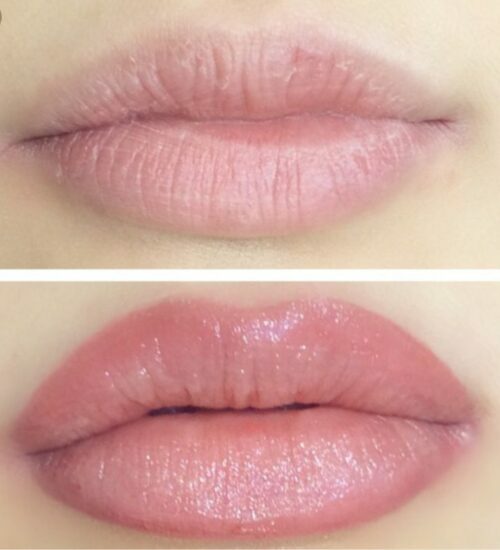 The results are incredibly natural looking and simply amazing and will last a year! Day of the Appointment… What to expect. 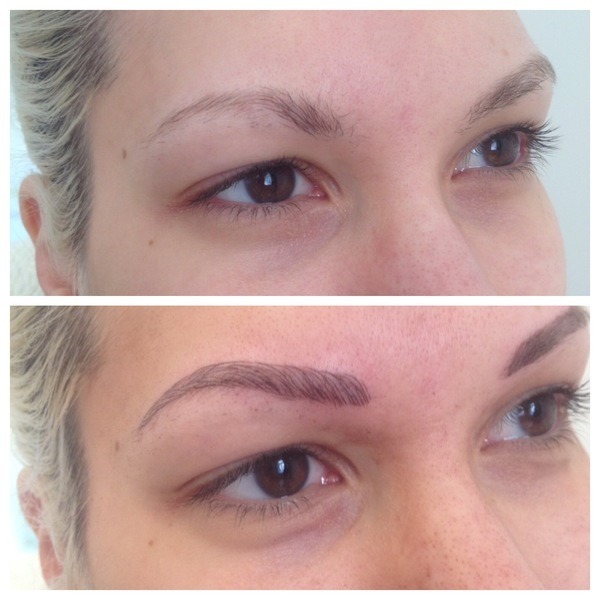 Timing – A typical microblading appointment lasts 2 to 2.5 hours, depending on the specialist and actual brow shape. 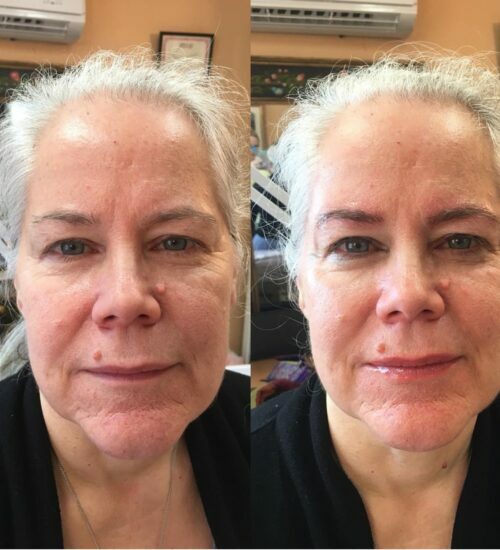 The touch-up appointment, 4-6 weeks later, takes approximately 1 hour. The touch up allows us to perfect and polish your brows. 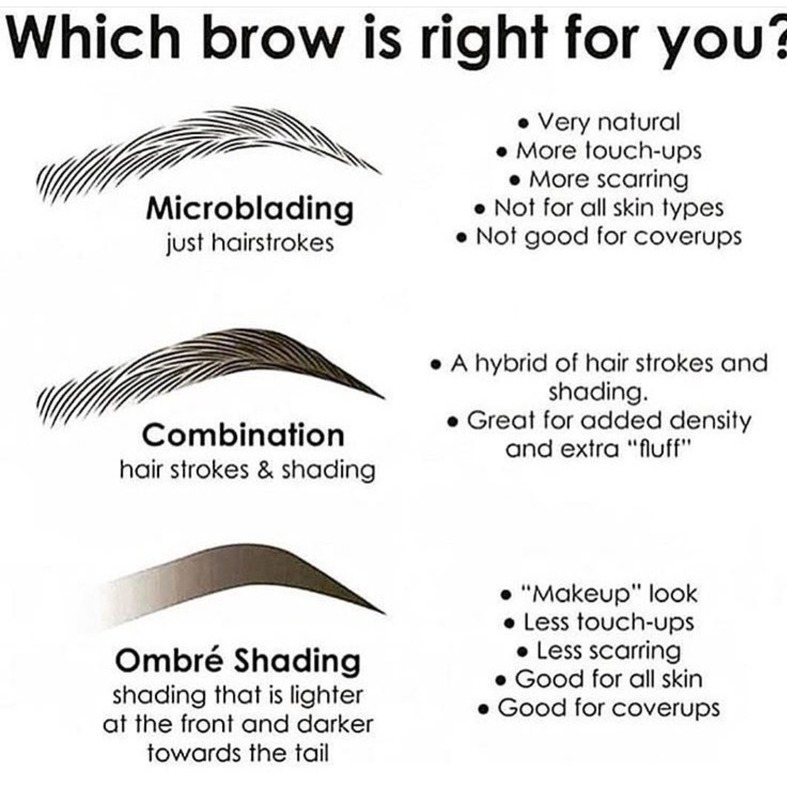 Interview – Our microblading artist will ask you questions about your style, what kind of makeup you wear and your preferences. Your answers will help the artist understand your expectations and give you all the answers you might have. Numbing – We will apply numbing cream on the area we will work on. This will make the process easier for a relaxed patient. Process – Client will be asked to lay down and relax. Artist will now perform the work based on the mock-up agreed with the customer. At the end of the service, all ink leftovers are removed from the face with sterile wipes. You can now enjoy the new look of your eyebrows. Is it the same as a tattoo? It is a form of a tattoo although different techniques, pigments, and equipment are used. You may experience some minor swelling and redness on procedure day. You may resume normal activities but will be advised to wear no makeup on the treated areas for one week. During that first week, there will be some minor redness and peeling while healing. Permanent Cosmetic Pigment is designed to be safely broken down by the body after time. Each person holds pigment differently. Most procedures last 2-6 years. 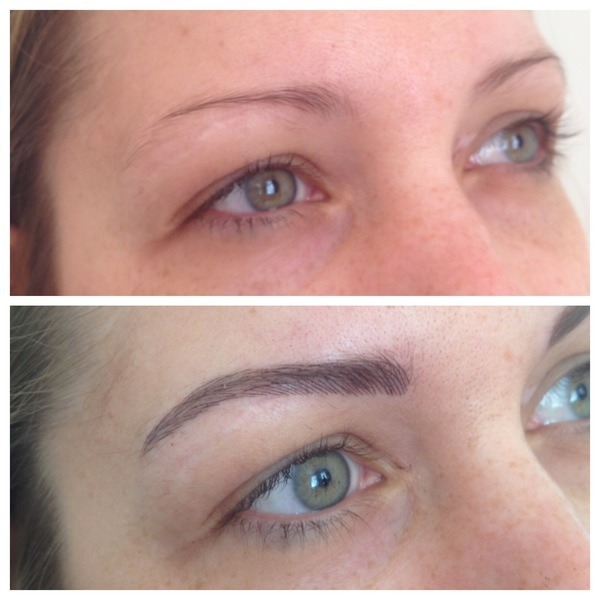 To keep your Permanent Makeup looking it’s best we recommend a touch up at minimum every 2 years. A topical anesthesia is used as needed to help numb the areas being treated and will alleviate any minor discomfort you may experience. All products that touch the patient are medical grade, pre-sterilized and disposable for each patient. There is no opportunity to transmit air-borne or blood-borne diseases or bacteria within the system we use. All aspects are done to OSHA standards. Avoid working out the day of your appointment as the body heat will expand the pores. Avoid heavy exposure to sunlight. The skin should not be in the process of healing from sunburn for the procedure. Avoid coffee or anything with caffeine the day of the procedure. Avoid alcohol for at least 24 hours prior to the procedure. 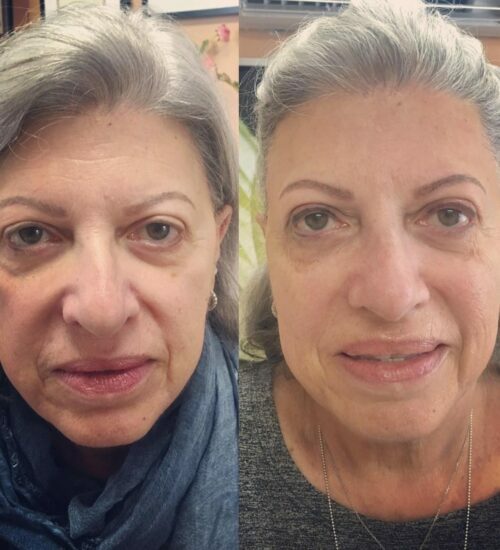 Avoid the following treatments within 4 weeks of the procedure: Botox or other fillers, Chemical Peels, and Laser treatments. Apply a small amount of Aquaphor or Vaseline to the eyebrows for 1 week using a Q-Tip. Do not get eyebrows wet for one week. Do not pick at the brow when the color starts to peel. Avoid the following for one week after treatment: sun exposure, saunas, excessive sweating, and brow makeup. Avoid the following for two weeks: swimming and facials.